Malicious Fraud vs. Friendly Fraud: What’s the Difference? Fraud is a commonly used phrase in the eCommerce world. But what types of activities and characteristics are defined as “fraud”? Basically, there are two categories of fraud: malicious fraud and friendly fraud. If you don’t know the difference between the two, your business could suffer from a lot of unnecessary revenue loss. What is the difference between friendly fraud and malicious fraud? Malicious fraud happens when a criminal steals a cardholder’s payment card or account information and uses it to purchase merchandise or services without the cardholder’s permission. A criminal purchased a list of payment card information from a data breach and used Ron’s card to buy high-end designer purses that could be resold on the blackmarket. A criminal found Alicia’s credit card lying on the floor in a restaurant and used it to shop at several different online stores. A criminal hacked into Lindsey’s account with her favorite coffee shop and used her stored payment information to purchase a bunch of gift cards. Friendly fraud happens when a cardholder uses the chargeback process incorrectly, either as an intentional attempt to get something for free or an innocent misunderstanding. After buying an expensive pair of shoes, Melissa suffered from buyer’s remorse. Rather than return the shoes to the merchant for a refund, she opted for a chargeback because it was more convenient. Jordan forgot to cancel services before his free trial ended. When his account was charged, he called the bank to complain. Brenda didn’t recognize the business name listed on her statement and couldn’t remember buying anything. When she suggested it might be fraud, the bank issued a chargeback. Ben was desperate to get his hands on the latest version of his favorite video game–but he really couldn’t afford it. So when the bill came, Ben told the bank he didn’t authorize the purchase. You might think differentiating between friendly fraud and malicious fraud is just a useless technicality. After all, both friendly fraud and malicious fraud result in chargebacks. Revenue loss happens either way! If you process an unauthorized transaction that is the result of malicious fraud, there is nothing you can do. You must accept the chargeback as a loss. The cardholder shouldn’t be held responsible because a fraudster slipped through your defenses. But if the chargeback is the result of friendly fraud, you can fight back and recover revenue that is rightfully yours. Because “fraud” is such a hot topic of conversation, you’ve probably already gone looking for tools to help reduce your risk exposure. What you found were tools and services specifically designed to help prevent chargebacks resulting from malicious fraud. Some service providers might have even offered to reimburse you for chargebacks if malicious fraud slips through the cracks. But what about friendly fraud? Friendly fraud cannot be managed with tools designed to prevent malicious fraud. That’s because friendly fraud results from legitimate and authorized transactions, so there aren’t red flags to be detected. And nothing can account for unscrupulous consumer behavior or misunderstandings. If you only use tools designed for malicious fraud, friendly fraud will still be an issue. Does your fraud tool ensure you are 100% protected against chargebacks? Is your monthly chargeback count zero? Are you free from all financial liability for chargebacks? Does your fraud tool’s reimbursement plan ensure you don’t lose any revenue to chargebacks? If your answers are no, you don’t have comprehensive protection for your bottom line. At Midigator®, we believe the challenge of running a business should be delivering great products or services, not managing payment risk. That’s why we offer an all-in-one solution for friendly fraud—access all the tools you need to prevent and fight friendly fraud from a single platform. 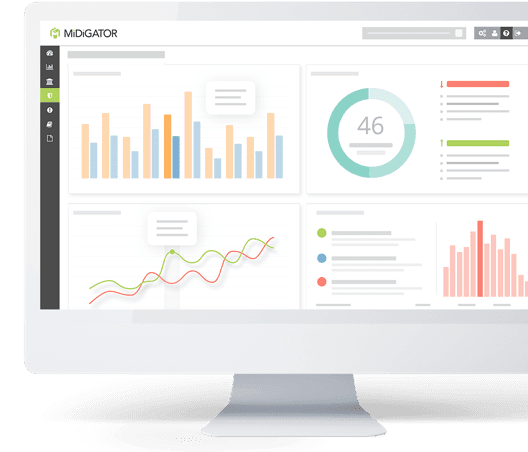 Midigator’s friendly fraud management technology is the perfect compliment to your malicious fraud prevention tool. 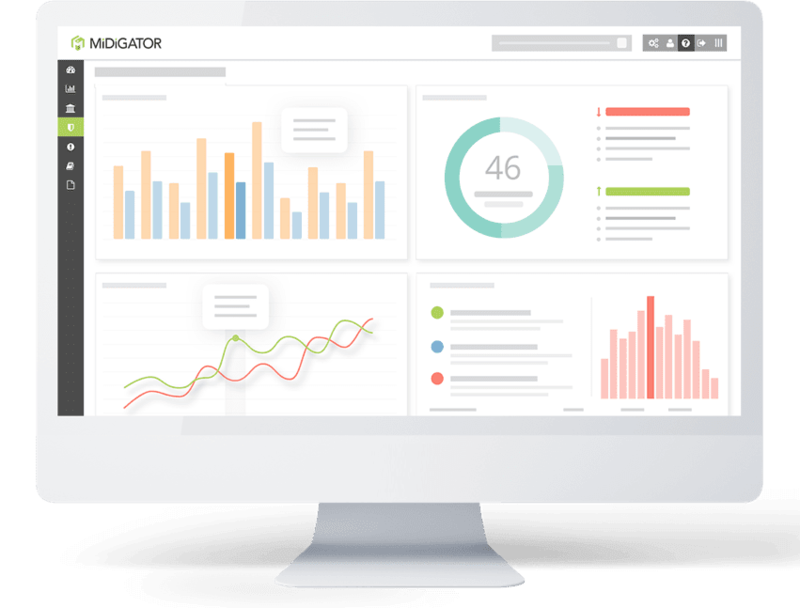 Sign up for a demo today and see how you can create comprehensive protection with more revenue recovery and unparalleled ROI. Unless you have an efficient strategy to fight chargebacks, the effort could cost more than the actual revenue you recover. Learn how to recover revenue with fewer costs to significantly increase ROI. The most effective chargeback prevention strategy is a multi-layer approach--a variety of tools used at various stages of the transaction lifestyle.